Having the best leather recliner means having the best chair that you can brag to friends and showcase to peers and acquaintances. Owning a pair of high-quality recliners also speak of affluence and class, as well as good taste when it comes to selecting the best of the best. Leather recliner chairs are simple in design yet the leather material used often exudes elegance, while well-maintained ones add a certain homey feel to any living area. Being a recliner, this also means that not only are these chairs worth being proud of but they are also worthy of being sat and slept on. Here are three fine samples of leather recliners that offer the power of ergonomics to solve your design dilemmas with leather upholstery and unique styles that are easy to mix and match with. The backrest and seat are well padded with soft cushion, while the headrest and footrest are also filled with the same material. The base of this recliner allows you to recline from 70 degrees to 50 degrees, to even as low as 30 degrees for the full recline advantage. Offering full leg support, the retractable footrest shifts when the backrest shifts and can be adjusted depending on the sitting mode you want to be in. This Monarch Specialties recliner comes with a swivel, glide and recline functions that let you be more comfortable, no matter what position you like to be in. The leather-look finish of this chair is fashionable and contemporary, which fits in just about any furnishing style that you can think of. This recliner chair comes with a dual motor that lets you lift and recline the chair with a touch of a button. The dimensions of this recliner are generous by modern standards, allowing more wriggle room so that you can get that perfect spot faster. The upholstery of this recliner is not really leather, but it is made of thick poly fiber which is very cozy and feels good to the touch. The high back and armrests, as well as the footrest and seat, are padded with soft, thick cushions that won’t deform no matter how long you sit on it. The backrest and footrest of the Yandel Power Lift Recliner are reinforced with metal for a more durable seating option. 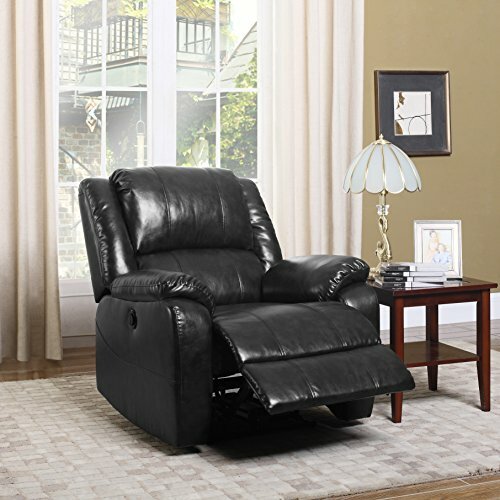 This recliner chair comes with a remote control that allows you to lift and recline easily. The motor is great for helping users get back on their feet. The seat can be a little stiff. The remote control responds slowly to commands. 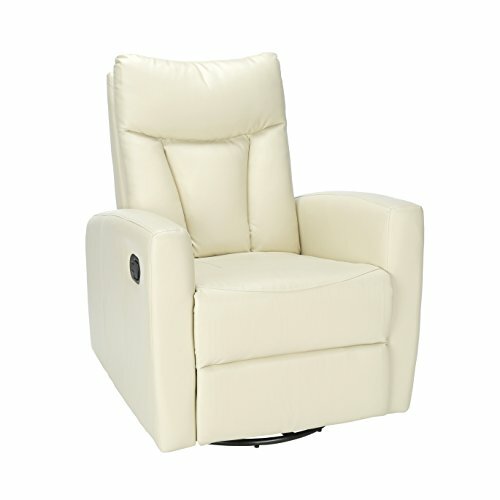 Runs on an electric motor that can lift and recline the whole reclining chair at the touch of a button. This is lined with soft bonded leather that is stuffed with soft stuffing material. This recliner from Divano Roma Furniture gives you more room to wriggle in, larger than others. This chair is designed to fully recline and move back to the original position at the touch of the button. The footrest can be on the short side. Each of the previously listed recliner chairs has their set of unique features. 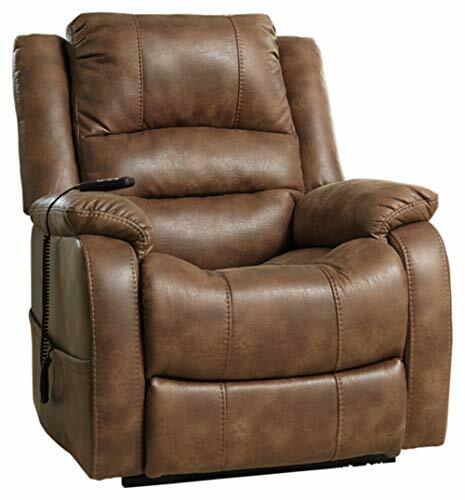 The Monarch Specialties Leather Recliner is a contemporary recliner with three adjustable functions that let you enjoy reading or watching your favorite show no matter what sitting position you like. The Yandel Power Lift Recliner by Ashley is a power lift recliner that reclines and moves around just by touching one of its operating buttons. 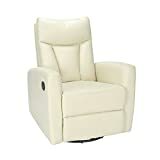 The Divano Roma Leather Recliner Chair is a powerful electric lift recliner chair that uses a silent dual-motor to power its functions; from recline to supine. Overall, they all have different designs which make it hard to have proper criteria that will help determine which one is the best leather recliner. All three have hardwood frames that are reinforced with steel and padded all around with different kinds of material, from cotton to high-density stuffing material. With these criteria, the best recliner chair is the signature Yandel Power Lift Recliner from Ashley Furniture. Its smooth operation and quiet motor add to the comfort that the thick padded cushions normally bring in. The way it tilts and glides to help people get up also gives this chair the most number of thumbs up. Recliner chairs do not have to be lined with leather to be fully effective, but it does help that the best chair you can think of already exist in a time where most things don’t leave the comforts of the imagination.